Most folks think that there are generally only two kinds of neighborhoods where condo and townhome communities are located: urban and suburban. Actually, there’s a third possibility: what’s known as “surban,” which combines the best of a major city and its adjacent ‘burbs. “This new category is halfway between suburban and urban,” explained David Newcombe, a real estate broker and co-founder of Launch Real Estate. These are neighborhoods with walkable destinations — such as restaurants, reminiscent of urban living — but with a defined residential character, Newcombe said. Some examples of surban locations include McCormick Ranch in Scottsdale, south Arcadia in East Phoenix, and the intersection of 16 th Street and Bethany Home Road in Central Phoenix, he said, adding that these are places where families can comfortably live that have many of the benefits of both city and suburban living. A surban community typically is easy to get to and is near many conveniences, including supermarkets and other retailers. The developers of Optima Kierland in North Scottsdale view that community’s location as surban. Proximity of light rail is what helps define a neighborhood as urban, Newcombe said, although a neighborhood can still be considered urban without public transportation nearby. Very often, an urban neighborhood is the downtown core of a city, even if it’s a suburb. 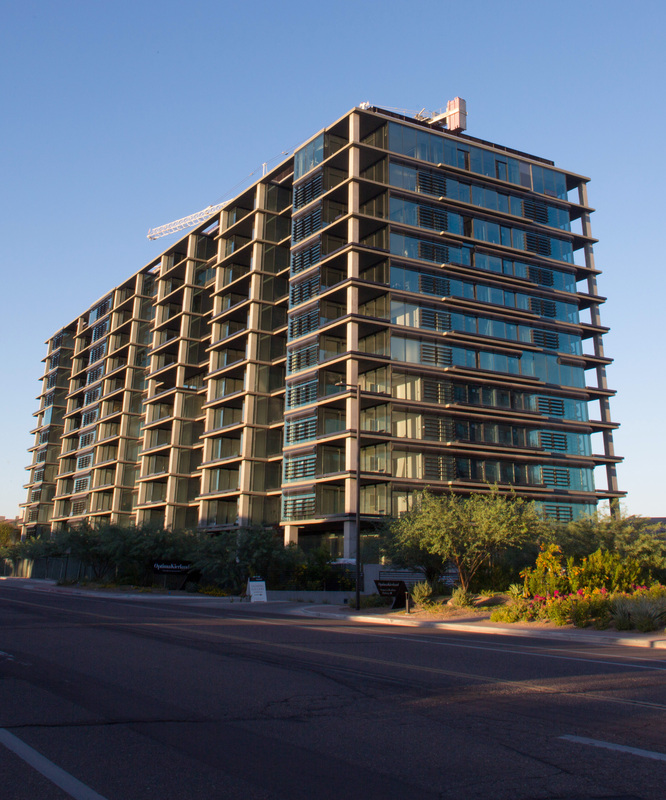 Locally, these neighborhoods include Downtown Phoenix, Downtown Scottsdale and Downtown Tempe. The biggest advantages of urban condos, Newcombe said, are lifestyle and convenience. “You’ll usually discover that your favorite spots are just a short walk or light rail ride away from your home,” he said. Urban neighborhoods are desirable because of “location, location, location,” said KeithMishkin, owner of Cambridge Properties in Phoenix. “The convenience of being able to live, work and play and never have to drive anywhere is paramount,” he said. “A lock-and-leave lifestyle is a major advantage,” said Jack Luciano, Partner with The Agency, which developed the just debuted penthouse residences at Scottsdale’s Hotel Valley Ho, a restored 1950s property known for being a favorite of Hollywood luminaries of that era. Penthouse buyers have access to hotel amenities including the gym, pools, room service, valet parking, housekeeping and spa discounts, Luciano said. He said that walkability to local restaurants, entertainment and shopping is another plus. Newcombe agreed that young professionals with no kids as well as empty-nesters appear to be most attracted to urban condos. For a millennial, Newcombe said, a condo is a great way to get introduced to homeownership. “A lock-and-leave lifestyle is a major advantage,” said Jack Luciano, Partner with The Agency, which developed the just debuted penthouse residences at Scottsdale’s Hotel Valley Ho, a restored 1950s property known for being a favorite of Holly wood luminaries of that era. Penthouse buyers have access to hotel amenities including the gym, pools, room service, valet parking, housekeeping and spa discounts, Luciano said. He said that walkability to local restaurants, entertainment and shopping is another plus. Urban neighborhoods are desirable because of “location, location, location,” said Keith Mishkin, owner of Cambridge Properties in Phoenix. “The convenience of being able to live, work and play and never have to drive anywhere is paramount,” he said. Suburban living generally is quieter than urban living, Mishkin said. Suburban condo and townhome owners “want a lock-and-leave lifestyle without the urban feel and more of a quiet environment without the maintenance of a single-family home,” Luciano said. Condos and townhomes in suburban areas can be near major employment hubs, Newcombe said, citing Chandler and the Phoenix-Mesa Gateway Airport area as examples. A townhome in those areas can be more affordable than a single-family home, he said.